Our goal is to provide not only high-quality legal services but also affordable legal services. We believe that practical solutions are available for even the most complex legal challenges, and we work to find the most sensible solutions for our clients. 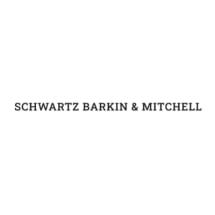 Whether your legal need is personal or professional, you can put your trust in the capable hands of the experienced attorneys at the law firm of Schwartz, Barkin & Mitchell. We will work with you to find a creative, effective and efficient path to allow you to reach your legal goal. To learn more about our approach to the law, you can schedule a free initial consultation at our Union law office.